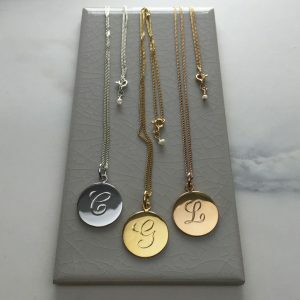 Every gal loves a piece of jewellery, and there’s a good chance that she loves monogrammed things, so lets make it something a little bit more unique with this personalised necklace. Latitude and Longitude personalised necklaces are a chic way of commemorating a memory shared with your BFF. First place you met, a place full of laughter and happiness, a holiday and traveling trip you’ve shared or simply your favourite coffee shop where you share all your secrets – why not get the coordinates of this place hand engraved to carry the memento with you? Show them that even if you’re apart you’ll always be with them with this personalised best friends necklace. Best Friends Personalised Necklaces by Bianca Jones Jewellery. One for her, the other is for you.